I love writing reviews and then receiving comments from my followers who have also read the same book who either have a deep hatred or love for the book! Getting into a (healthy) 'discussion' about a book and talk about it's strengths and flaws is something I love doing (especially if I adored the book and we are able to share this admiration!). 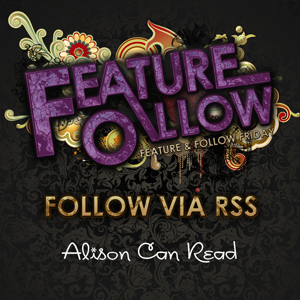 Book blogging had opened up a new world for me. Meeting authors and other bloggers is just such a great pleasure, and I have realized how much I actually love reading! It has made me realize what I would like to do, not only as a hobby but as a career, and there may be something in the running where my career dream may come to realization! Question of the Week: What is your favorite movie? - Suggested by A Kernel of Nonsense. My favorite movie is probably You've Got Mail. It's not considered high culture. And when I rewatch it, even I laugh at the cliches and outdatedness. But it still makes me happy every time. I've even visited many of the places where it was filmed in New York! One of my favorite spots in the city. I go there almost every trip. If you could get an ARC of any book, already published, or not yet, what would it be? - Suggested by Words I Write Crazy. My favorite movie would have to be Disney's Beauty & the Beast. I just can't get over it. I love the prince's library. I love the transformative and redemptive love. I love the dancing cakes! Is it weird that I've never seen that movie? I feel like it's a classic romance that everyone has seen except me. I will have to sit down and watch it sometime soon. Thanks for stopping by my blog too! Ohh I really did love this movie. Old follower on Bloglovin. Alison it's been so long since I watched You've got Mail, like you I don't really watch a whole lot of movies as I'd rather be reading! Nice! I tend to have a hard time sitting through movies too. I like them, but lately they've been soooo long. And especially when you go the theater, you add about 15-20 minutes of commercials and previews before the 2+ hour movie starts! Ohh I love You've Got Mail! It's one of those movies that I can always watch when it's on and not be bored of it. Aww, Tom Hanks came up some really nice movies back in his heyday. I loved Sleepless In Seattle myself. I love You Got Mail!! :) Huge Tom Hanks fan here..lol. I've never seen You've Got Mail, now I'll have to check it out! I love Meg Ryan's movies.My fav movie with her is French Kiss. I re-watched 'You've Got Mail' recently and really enjoyed it. It's a really cute movie. 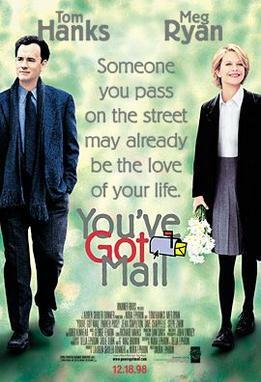 I've never seen You've Got Mail, Big was always my ultimate Tom Hanks movie! I liked You've got Mail, I didn't love it though. I felt bad for Meg Ryan's character, although the ending was super sweet. I'm a very old follower. Just dropping by! Here's my FF post. You've Got Mail is lovely. I adore Sleepless in Seattle too. You can't go past movies like that. :-D Most of my fave movies are kids movies, haha!